By the numerous requests of partners and customers, we have released server integration 3CX v15.5 with the popular 1C: Enterprise system. Integration is an extension of the typical configuration "Trade Management, edition 11 (?? 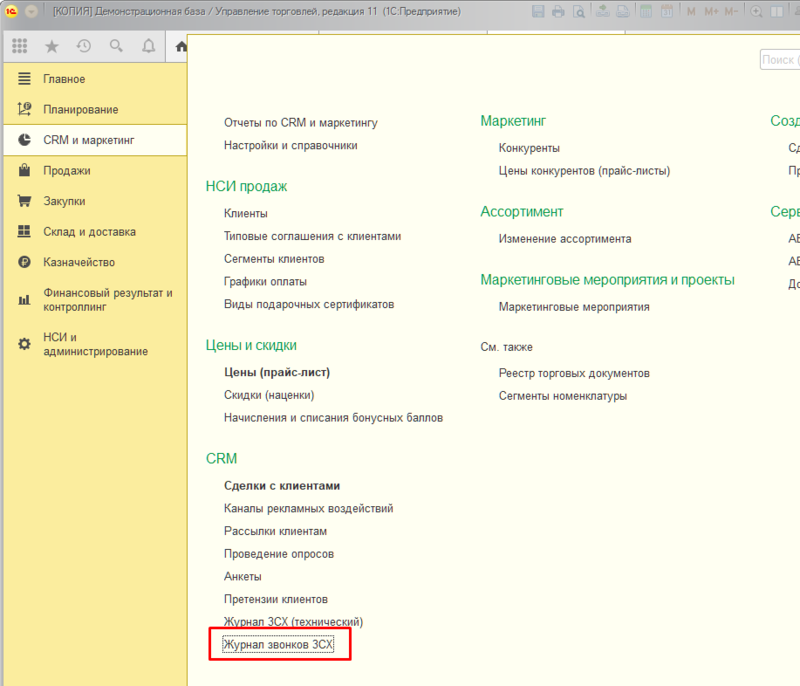 ?.167) for Russia" ( .cfe file ), Which is installed in the configuration in the standard way (see below). On the side of the 3CX server, a CRM template is loaded to interact with the web service of the published 1C configuration. 1C Configuration Extension: Trade Management implements the REST API, which maps incoming call numbers to counterparty numbers in 1C. When a call comes in 3CX, it calls through REST from 1C the counterparty data associated with the Caller ID of the subscriber. 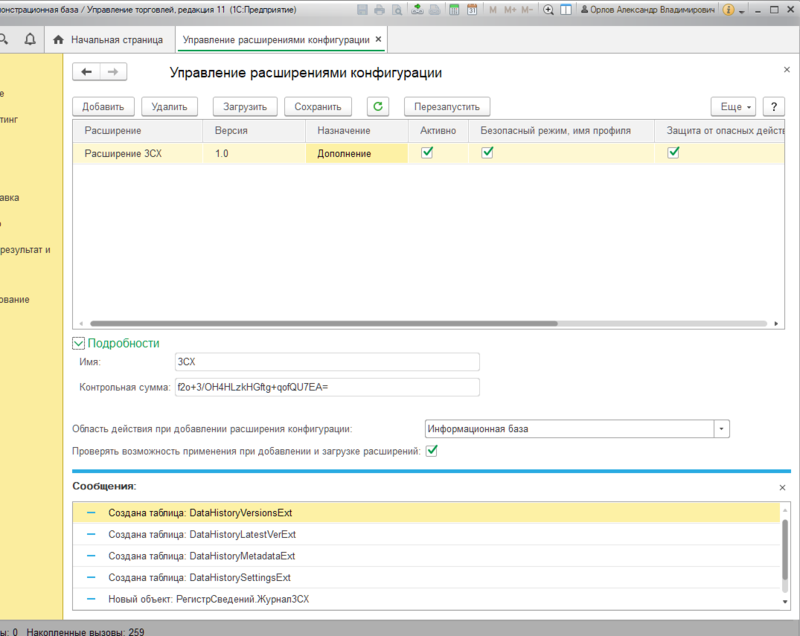 If a counterparty is found, its data is added to the 3CX Contacts and displayed in the 3CX web client (name and surname). If Enable call journaling is enabled in 3CX, 1C will log the calls to 1C. file 3cx1cextension.cfe from the archive. After installing the extension, the Manage Configuration Extensions tab should look like the one shown below. The configuration of 1C on a web server is published in a standard way, taking into account the features of the software environment. The detailed procedure for publishing is described in 1C: ITS on this . The configuration instruction for Web services for 1C v8.3 and IIS 8.5 on resource Infostart . Article with comments Publish the 1C: Enterprise databases 8.3 on the IIS Web server in Microsoft Windows Server 2008/2012 . When publishing, set the Publish HTTP services to extensions option by default. 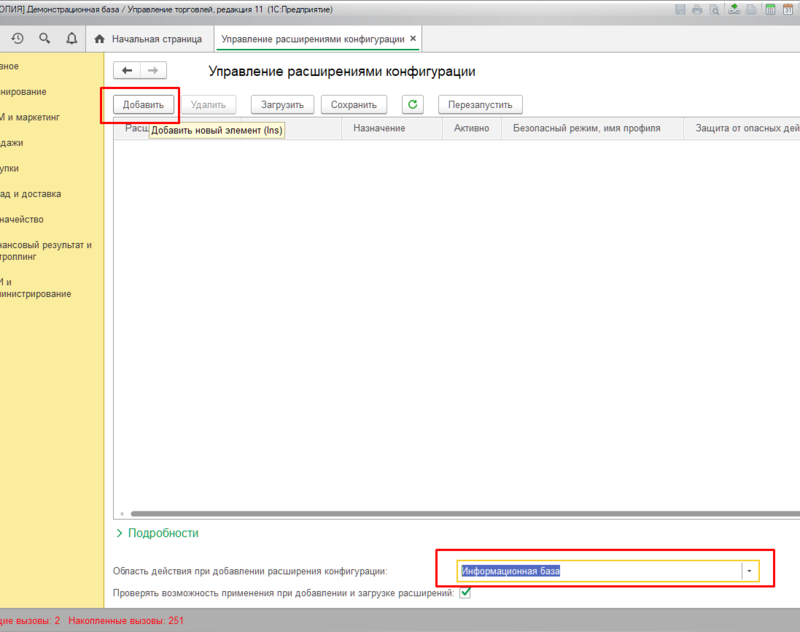 If there are users in the configuration (in rare cases, configurations without users are used), you must change the connection string to the 1C: Enterprise database. In the publication directory, locate the default.vrd file. Change the connection string in it, adding the user credentials, on behalf of which the database will respond to HTTP requests. The connection string should look something like this. Open the 3CX management interface and go to Settings - CRM integration - Server side tab. In the Available CRM Integration section, select 1C and click Download Selected. Then in the Domain Part field, specify the URL of the published HTTP configuration service 1C. To account for calls in 1C, enable the Enable call journaling option. As mentioned above, the extension maps incoming Caller ID numbers to counterparts in the 1C database. 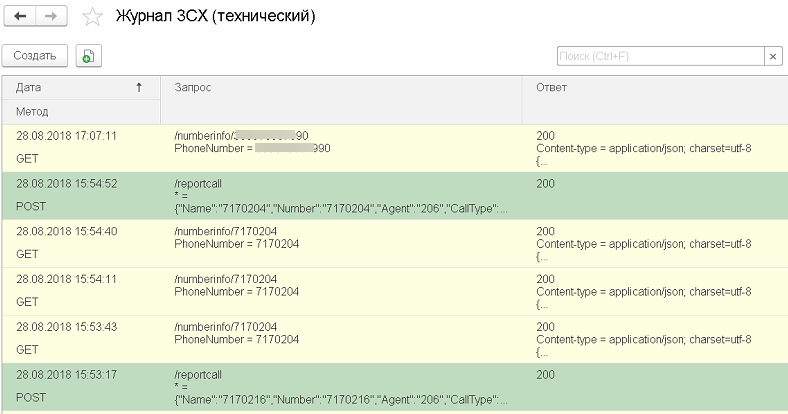 If a match is found, the 3CX web client will show the name and surname of the caller. In the call log, you can specify the conditions for selecting and sorting on the columns of interest to quickly analyze the situation by missing or failed calls in the organization. The 3CX technical log keeps a log of all 3CX calls to 1C via the REST API. This log can be used for diagnostics by an administrator or a 1C programmer. Expansion of the typical configuration 1C: Enterprise "Trade Management, edition 11 (?? ?.167) for Russia"
What happens if the client is not found? At the moment, the 1C platform is not able to call the form of adding a new client via the HTTP link. If the contact is displayed in the web client, can you open its full card in 1C? At the moment, the 1C platform does not have the ability to call a client card via an HTTP link. Can I make an outgoing call from a thin or thick client 1C? This is possible, but for this, appropriate support from the 3CX REST API must be implemented. Is it possible to redirect a call from 1C or implement a client-to-manager link? This is possible, but for this, appropriate support from the 3CX REST API must be implemented. Is it possible to implement the online monitoring panel (the telephony panel) of calls in 1C? At the moment when an incoming call, 3CX transmits only the Caller ID of the subscriber without auxiliary service information (for example, the busyness of a particular line, the extension of the recipient of the call, etc.). Additional service information is transmitted after the call is completed. In addition, the dashboard assumes user interaction with calls, but this requires support from the 3CX REST API. Can I see the missed calls on the counterparty card? Use the Call Log in 1C, which implements the extension. In it you can quickly select the contractors you are interested in.